The superb French actress Isabelle Huppert has appeared in more than 100 films in a career that began a decade before writer-director Mia Hansen-Løve, who has made five, was even born. Yet their strong joint commitment to emotional truth above all else has produced the quietly wonderful "Things to Come," a film whose subtle satisfactions very much sneak up on you. Hansen-Love (whose work here won Berlin's Silver Bear for direction) is a writer-director known for confident, personal films like "Father of My Children" and "Goodbye First Love." She's someone with the gift of bringing both conviction and concern to her work, of being able, as she does here, to illuminate existence in all its conundrums and complexities. She wrote "Things to Come" specifically for Huppert, who is indisputably having an American moment with this film and Paul Verhoeven's "Elle" on screens at the same time. But if that film has Huppert in the defiantly extreme role of a woman who has a very particular response to being raped, "Things to Come" offers the opposite challenge, of bringing to exceptional life a woman going through a crisis of a very different sort. 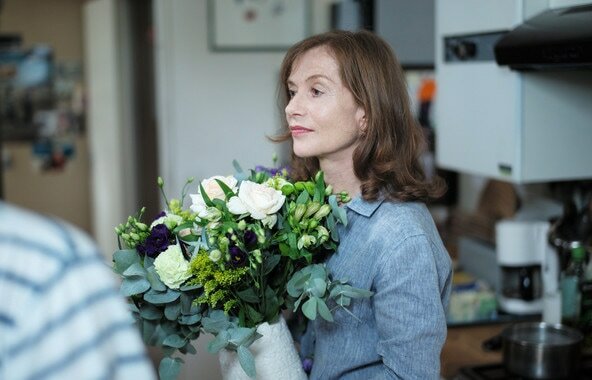 Inspired by Hansen-Love's mother, Huppert's Nathalie is a competent, confident woman who knows what she is about. She not only teaches philosophy at a Paris high school, quoting Rousseau, Adorno and Pascal, she believes in the discipline body and soul, telling her students to never, ever give up on the life of the mind. 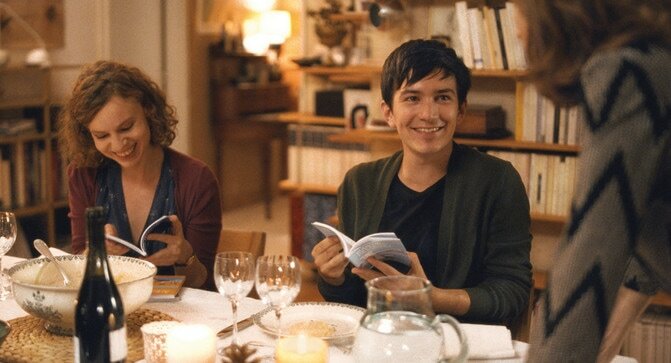 Married to a fellow teacher, the rumpled Heinz (André Marcon) and the mother to two grown children, Nathalie is introduced juggling a busy, intellectually stimulating life, even confronting radical strikers in front of her school to ensure her students get into the classroom. This ability to deal with multiple crises, to be perennially putting out fires, is one of the things that characterizes Nathalie, and "Things to Come," in no rush to declare itself, shows us all the elements she is accustomed to juggling. Taking up the most time is her impossible mother, Yvette. Played by the legendary Edith Scob, who starred in Georges Franju's 1960 "Eyes Without a Face," Yvette is an aging drama queen who has had so many late-night anxiety attacks that the fire department responders are threatening to stop showing up. A believer in passing on her knowledge, Nathalie is the author of a philosophy textbook, but her publisher is rethinking how it is presented, suggesting a pedagogical makeover to make it "more user-friendly" that Nathalie considers "horrible beyond belief." Then there is her former student and protégé Fabien (Roman Kolinka), who is rethinking his commitment to philosophy and teaching and considering a life that would focus on activism and even anarchy. Though Nathalie and Heinz have moments of discord ("Spare me your sarcasm" is a typical retort), their marriage seems solid. Only it isn't. Really out of the blue, Heinz tells Nathalie he has become involved with another woman and is leaving their home to move in with her. Though this is a common-enough scenario in reality, rarely do films deal with what it means to get a new life after the old one shatters, with adjusting to what Nathalie calls, with anticipation as well as trepidation, "total freedom." Because Huppert is such a formidable performer with, in Hansen-Løve's words, "the hint of ferocity" always present in her work, and because the writer-director has the ability to make reality come alive, "Things to Come" holds us completely.